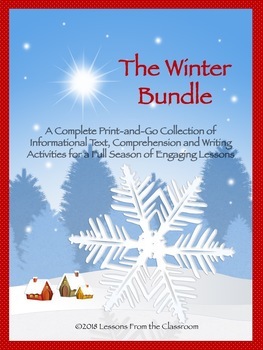 New Years Activities 2019 : The Winter Bundle - Spice up your winter teaching with the variety of lessons offered in one complete package. Students love the topics. Teachers love the scaffolded activities and simple print-and-go format. Other than making copies, everything is done for you. So complete the stand alone lessons are perfect for a day or two each when you need to be out and have a substitute.